Meet our candidates for the Sabbatical Officer role of VP Activities on the Concourse of Building 42 TODAY from 12:00 – 13:00. This is chance to ask them any questions you have on their key points and why you should vote for them. 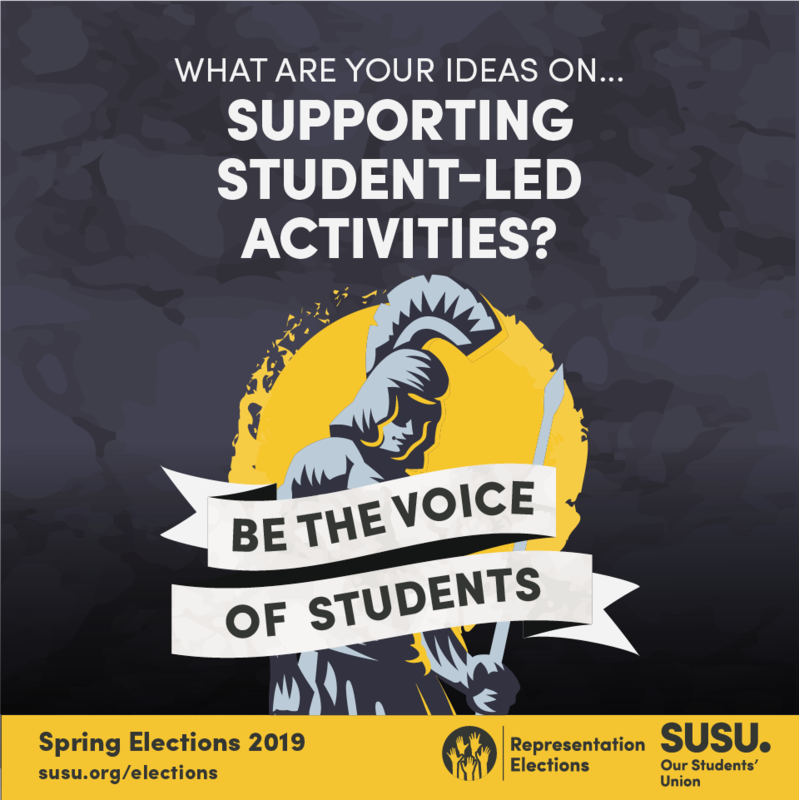 The responsibilities of VP Activities include representing club and society interests, supporting all affiliated societies, and improving the student experience at Southampton. They will oversee Performing Arts, Media groups, volunteering, fundraising and enterprise. You can read the full job description here: Vice President Activities. Grad Ball theme – we have a winner! 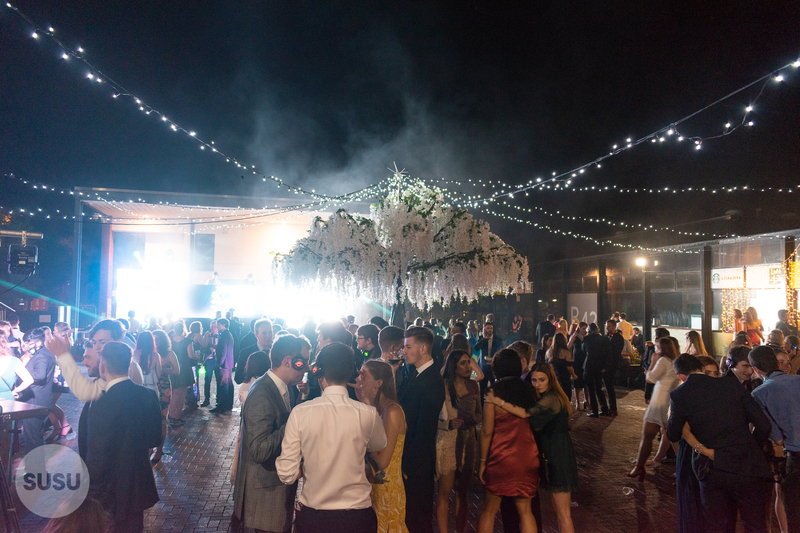 Last week we ran a vote on which theme you’d like Grad Ball 2019 to be, and the winner is…. The means plenty of 1920’s glitz, glamour, sequins and cocktails galore! Out of nearly 800 responses, The Great Gatsby won 50% of the vote. You also told us you don’t want a celebrity DJ, but you do want a Professional DJ, live music and a photo opportunity. Good news – you’ll get all this and more to enjoy on the night! Tickets will be on sale from Monday 11 March from the Box Office. 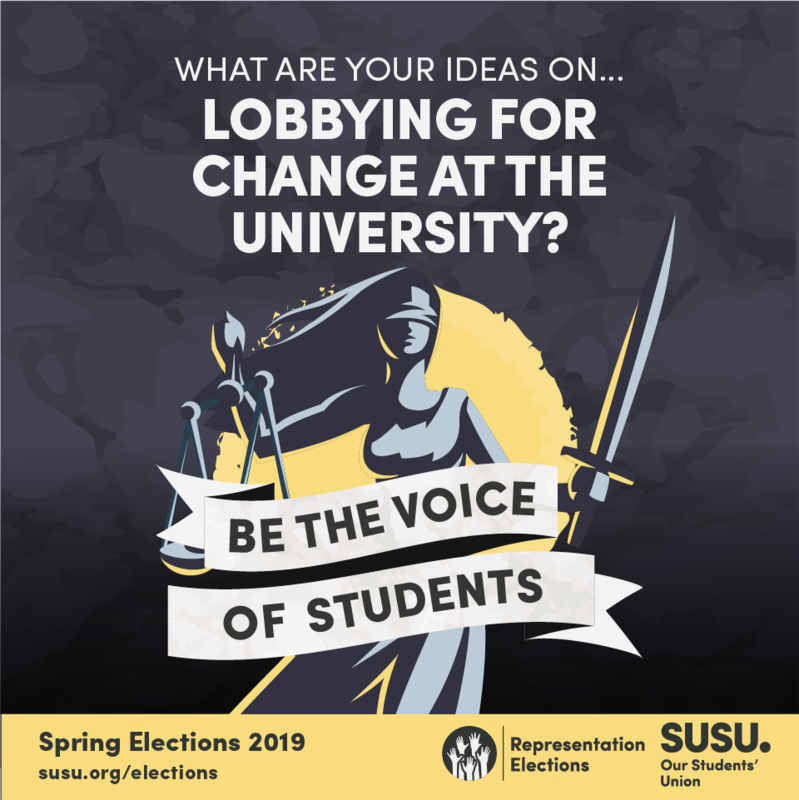 Spring Elections – what’s coming up? 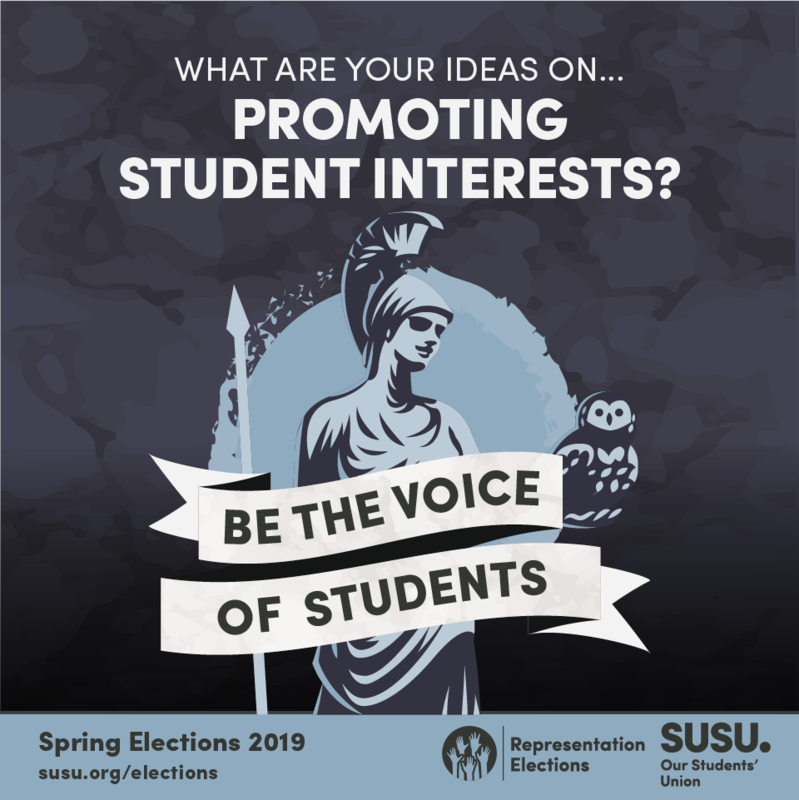 Our candidates in Spring Elections are currently campaigning for your votes! Meet our candidates for VP Activities and ask them your questions. Why should I vote in Union Elections? Whoever wins represents you – yes, you! 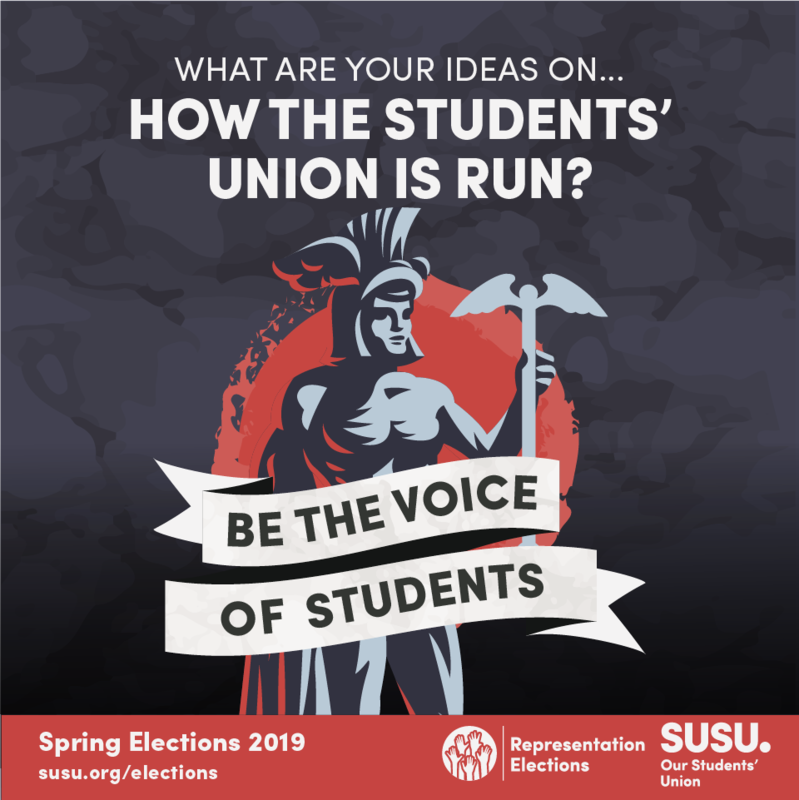 Remember, Sabbatical and Student Officers at the Union represent all students. It’s simple: you need to make sure the candidates who you think are best to represent you, get the votes. Vote for whoever you think should listen to your feedback, take it to the right people and Make. Change. Happen. 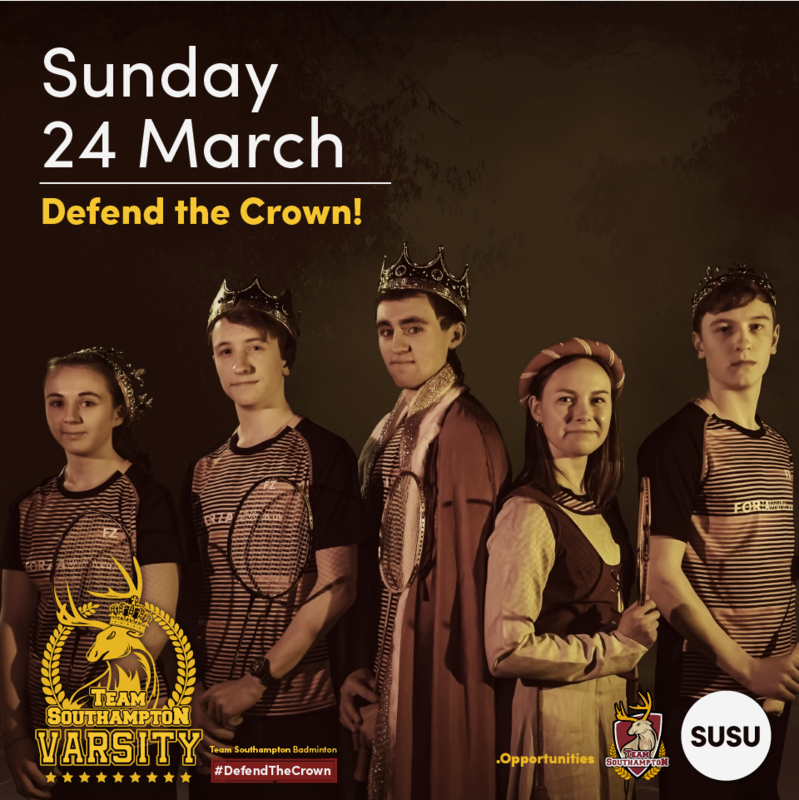 Get ready for Varsity 2019 and help Team Southampton defend the crown on Sunday 24 March. This year Varsity is held at our rival’s campus – the University of Portsmouth. Whether you are competing in Team Southampton or supporting friends and team mates, make sure to buy your ticket and be there to cheer each other to victory! Tickets are £12 from the Union’s Box Office and are on sale now. Your ticket includes entry to Varsity itself, a Varsity 2019 t-shirt, travel to and from Portsmouth and entry to the after party at Oceana Southampton. 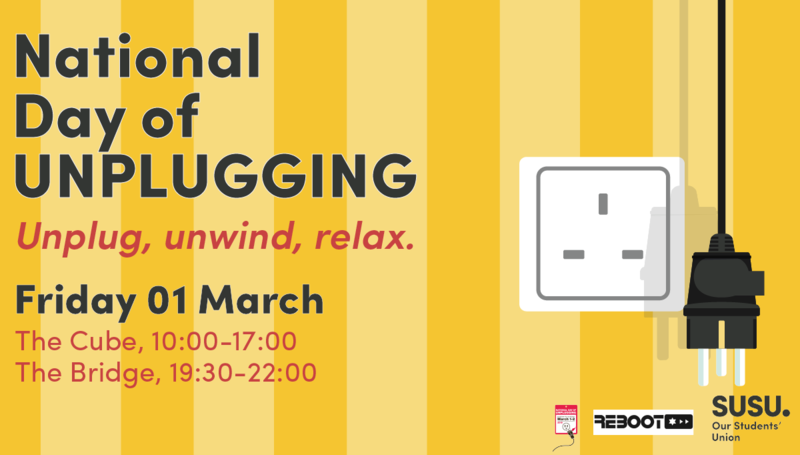 On Friday 01 March, we will be switching off from our screens and social media to join in with National Day of Unplugging – a ‘communal digital detox’. From the National Day of Unplugging website – “The National Day of Unplugging (NDU) is an annual 24-hour period, of observing a communal digital detox. The NDU is an outgrowth of the Sabbath Manifesto, an adaption of our ancestors’ ritual of carving out one day per week to unwind, unplug, relax, reflect, get outdoors, and connect with loved ones. 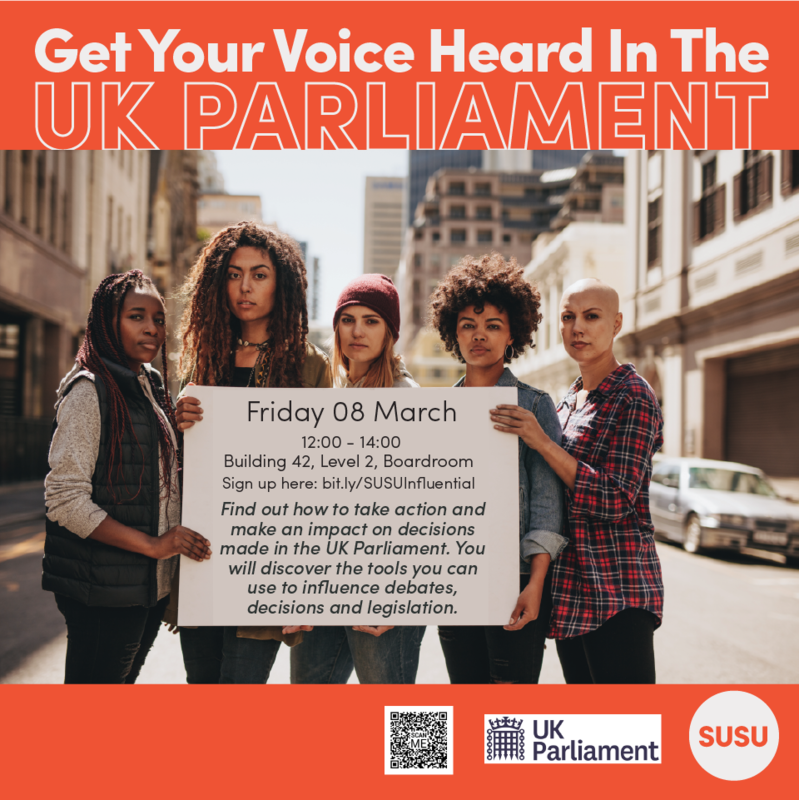 Find out how to take action and make an impact on decisions made in the UK Parliament at our workshop. You will discover the tools you can use to influence debates, decisions and legislation. You will also learn how to build effective relationships with MPs and members of the House of Lords. This session is perfect for those wishing to be heard and make a difference on the issues that matter most. An interactive workshop with discussions, debates, games and quizzes. 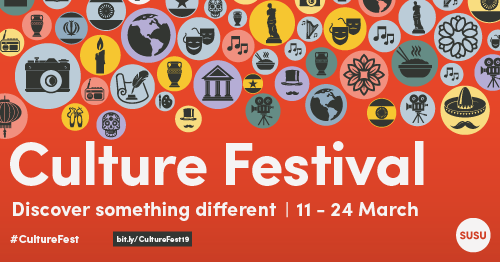 The Union’s Culture Festival is back during 11 – 24 March 2019, with lots of exciting events planned. Why not come along and discover something new? Take a trip around the World with SUSU’s Cultural Societies and learn something new with free food, activities and games. All abilities welcome, your first few sessions will be free! 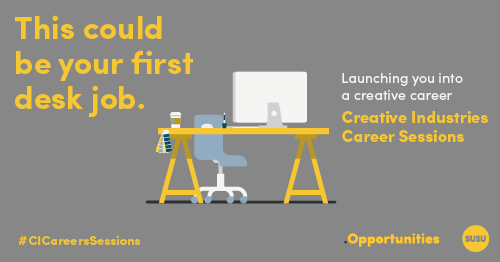 Our next Creative Careers Session will cover Media and Advertising, so book your place today if this is the industry you would love to work in! In these workshops you’ll hear from current industry professionals and top tips for getting ahead.